There was jubilation at the Imo State Police Command headquarters in Owerri when the remains of the state’s ‘most-wanted’ armed robber, Ihechi Nwankwo, were brought from Umuahia, the Abia State capital. The spokesman for the Imo State Police Command, Andrew Enwerem, told Southern City News that the 27-year-old armed robber, who hailed from Amaumara in the Ezinihitte Mbaise Local Government Area of the state, had been on the wanted list of the command for a long time. According to Enwerem, Nwankwo had been involved in a series of criminal operations, including robbing a bank customer of N8m at Access Bank at Ahiara Junction on August 8. 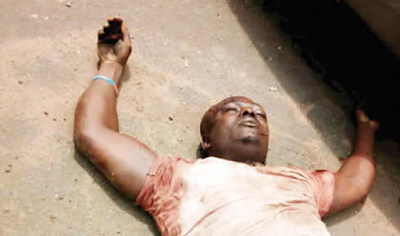 The slain suspect was also said to have robbed one Jovita Enwerem of N650,000 at gunpoint at Ahiara Junction on June 21.